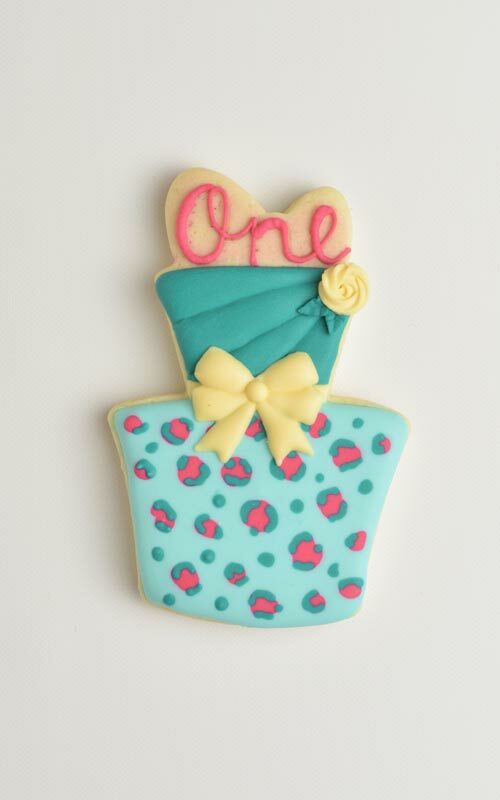 Birthday Cake Cookies are a perfect addition to any birthday party. To make my Birthday Cake Cookies I used a 2 tier cake cookie cutter by SugarBelle.I really like Callye’s cutters for their versatility. 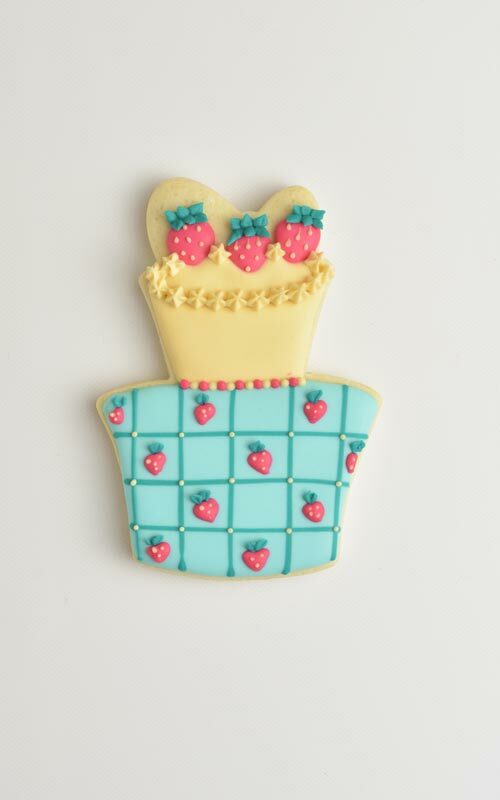 Last year I used a SugarBelle’s strawberry cutter to make 30 different cookie designs. 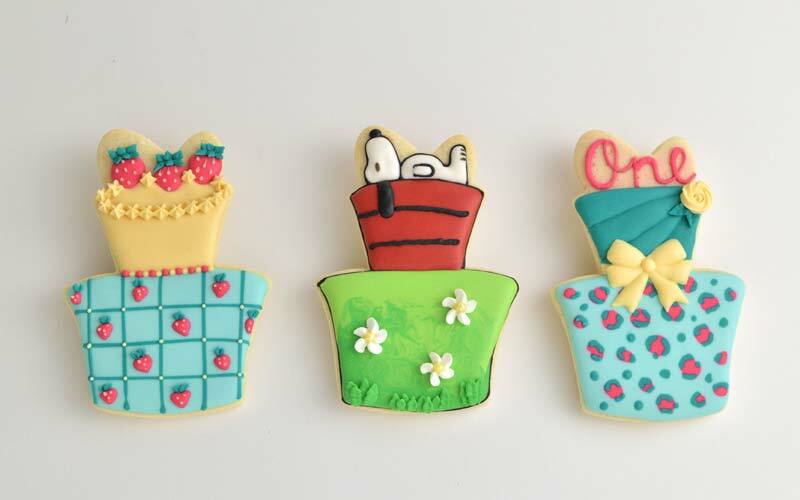 When I first started with cookie decorating 10 years ago I used to decorate on the fly. I was creating lot of abstract designs, lines, dots, swirls. 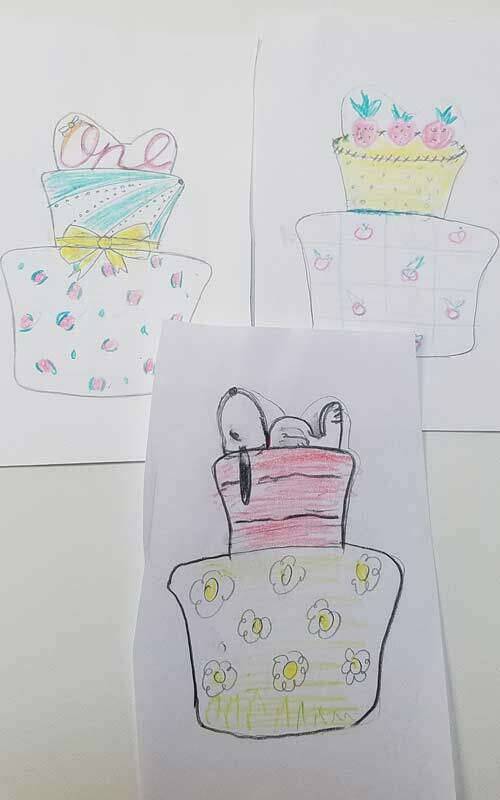 It wasn’t until a bit later when I started to sketch my cookie designs. Especially my gingerbread houses would be nearly impossible to create without a sketch. Royal icing transfers(RIT) are decorations made out of royal icing. They can be piped on a wax paper, parchment or food grade acetate sheets. Decorations are left to dry. 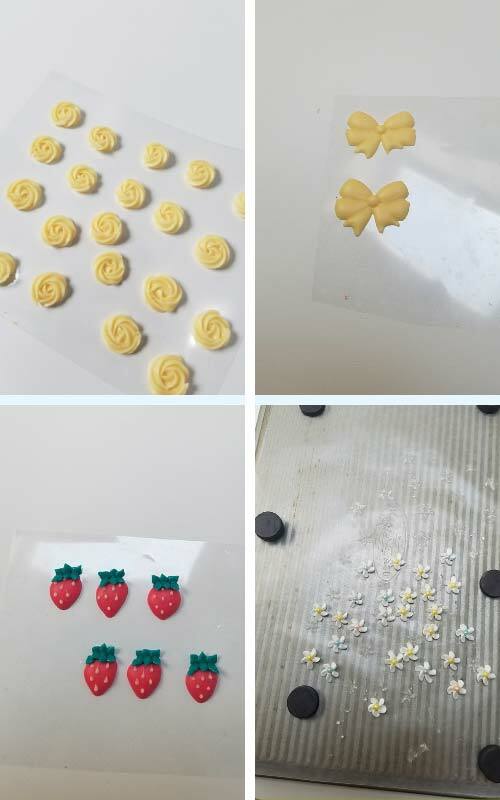 Backing is peeled off and decoration is used to decorate cookies, cakes, cupcakes and other treats. You can make RIT ahead of time. Weeks, months and I’ve had some for years. However, over time color tends to fade. Store them in an airtight container away from the direct sunlight. Keep RIT dry, a good practice is to place a packet of food grade silica with your decorations keep RIT dry. Moisture can ruin your sugar decorations. RIT are super easy to use. To attach them onto my cookies I used little bit of royal icing for the glue. Piping flowers like mini daisies in the picture above can be a tricky task. Piping tip is positioned perpendicular to the surface. When pulled away from the wax paper, surrounding area is also lifted. Making it difficult to detach piping tip from the piped flower. Therefore you need to weigh down the wax paper. To help resolve this issue I used magnets to hold down the wax paper. This way when lifting piping tip up you are not going to lift the whole sheet of wax paper. Cookie Recipes : I used Sugar Cookies. 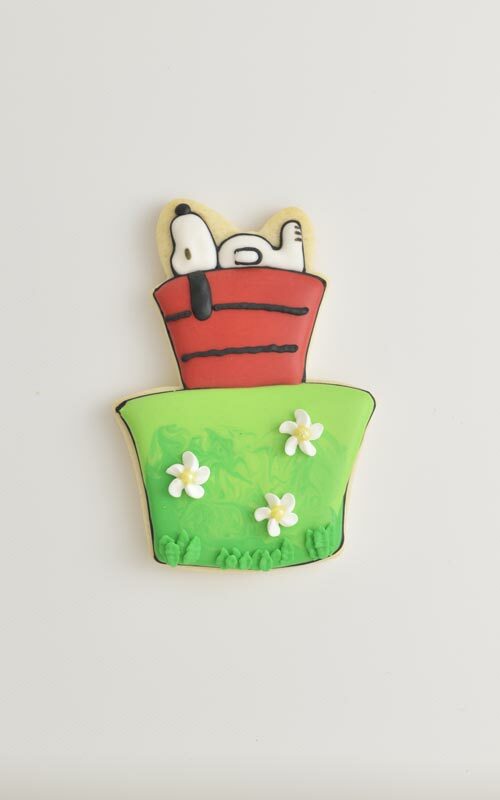 You can find number of cut out cookie recipes here. I love teaming up with my friends in creative collaborations. 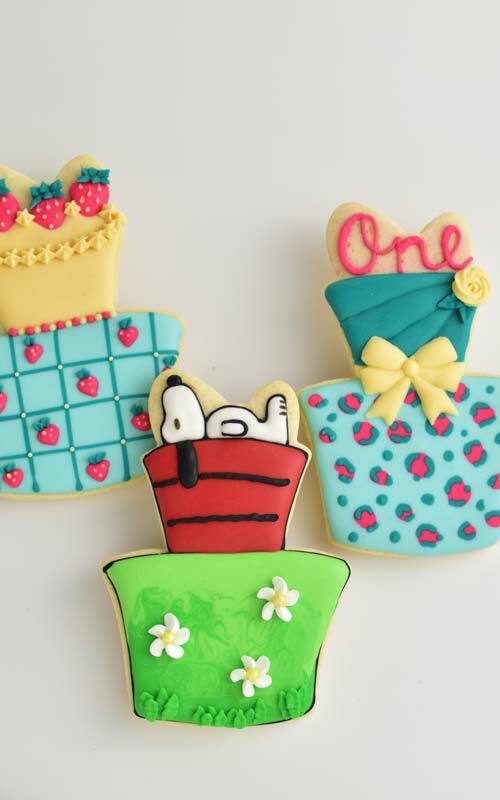 My friend Marlyn of Montreal Confections and I decided to do a Cookie Cutter Challenge. 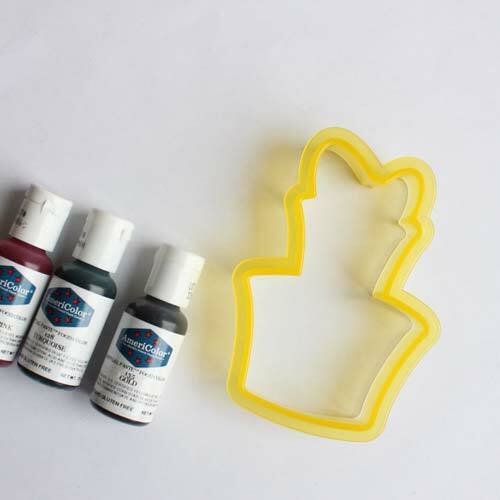 We both used the same cutter – 2 Tier Cake Cutter and also same Americolor colors to decorate the cookies. 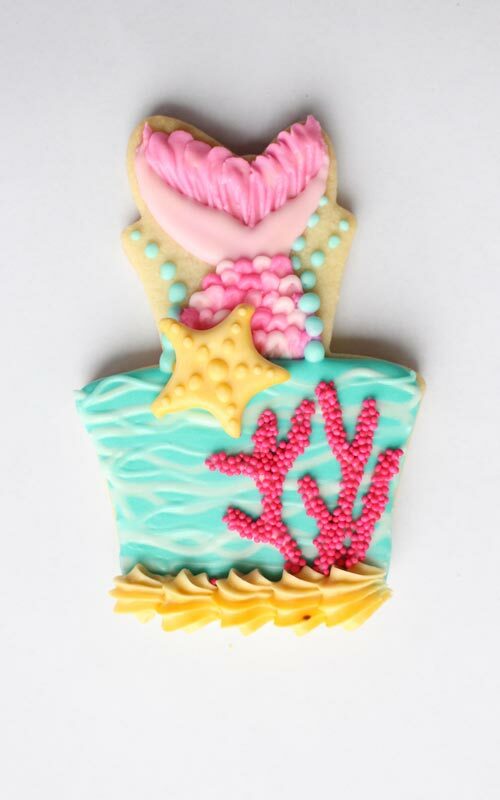 Marlyn made this super creative Mermaid inspired Cake Cookie. You can check step by step tutorial here.